"Every love story is beautiful . . . but ours is my favourite"
Your love story and your wedding day are unique to you. Celebrate it with stationery that reflects your personalities, ideas and themes. 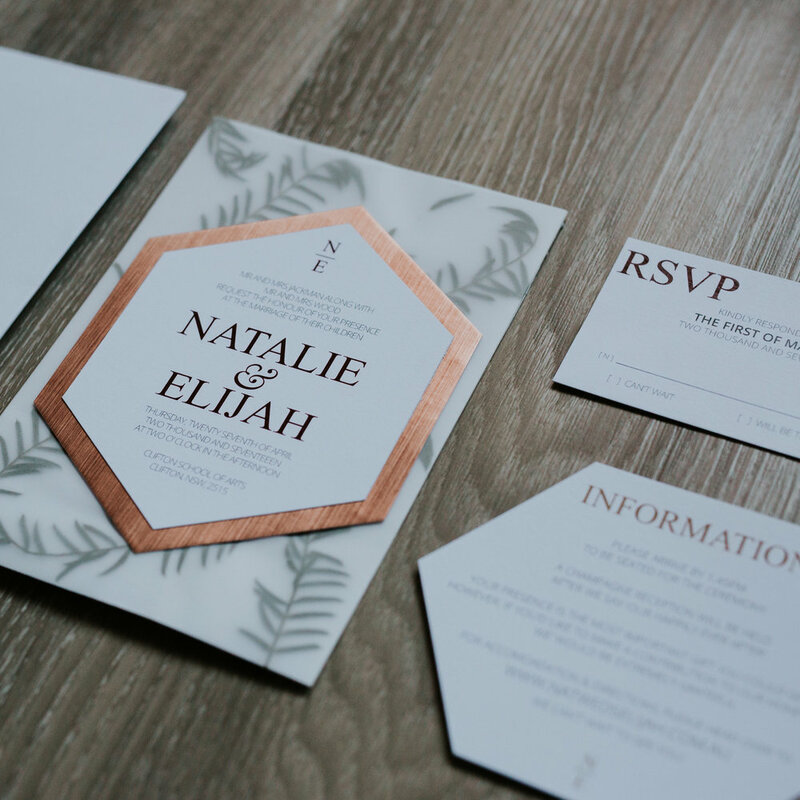 Whether you're having a traditional, modern or multi-cultural wedding, I am here to work closely with you, to design and create unique and beautiful stationery. The beauty of bespoke - you get to see your ideas come to life. the little touches. . . It doesn't stop at just wedding invitations. Show off your style with the little extra touches on your big day. 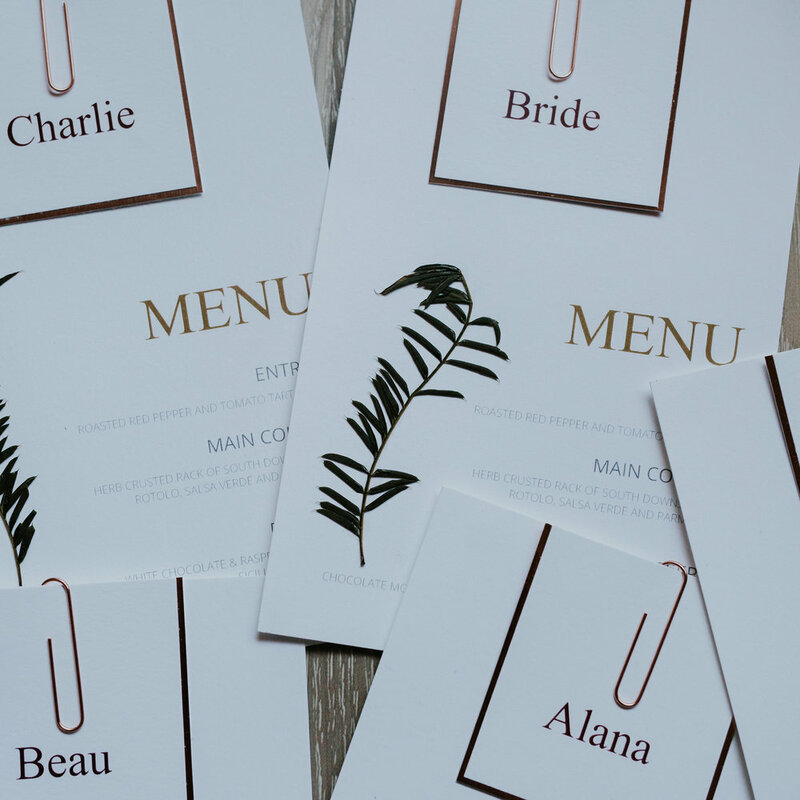 Together, we can create a full wedding suite, including ceremony programs, menus, signage, place names and much more. Get in touch for a free consultation and lets talk all things stationery.